Why You Should Follow: We had to have at least one perspective from our northernly neighbors on the list. 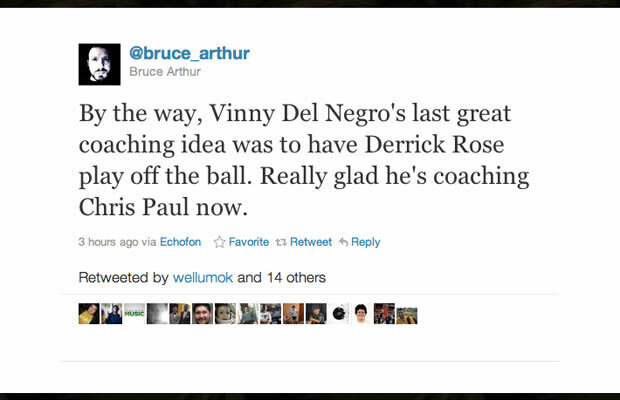 Bruce has been covering the Toronto Raptors for the Post since 2001. While he focuses on NBA, a variety of sports news and random tidbits about life in Canada seep into his discussion.